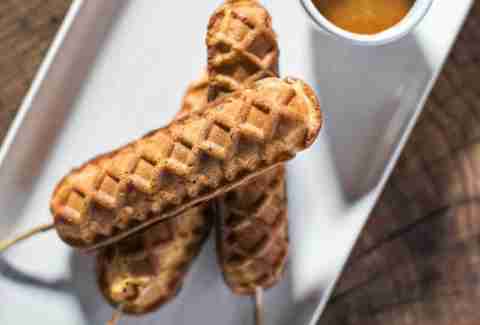 This bowling alley takes a “petite” beef frank and coats it in malted waffle batter, gives it the old cross-hatch treatment, and then pairs it with a sweet soy aioli dipping sauce, giving you a chance to eat two of the world's best foods... at the same time! ON A STICK!! 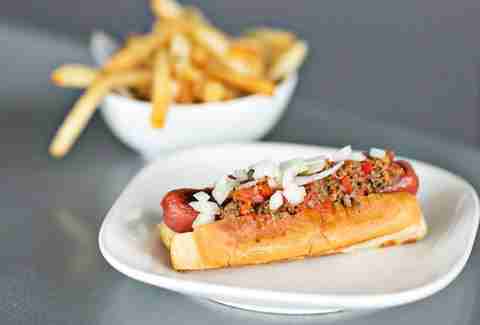 After revamping his old HD1 spot and opening one the of the city’s best rooftop patios in the process, Richard Blais decided to keep a little bit of that old gourmet wiener spirit alive via this high-end red-link that's covered in pimento jack, beef chili, and diced red onion. 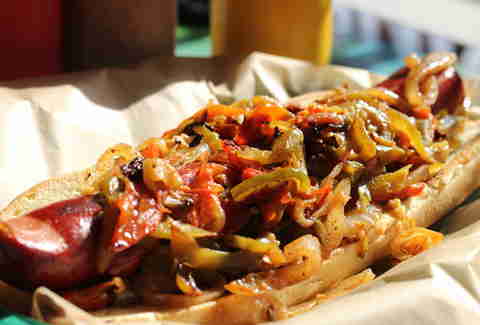 The pile of sweet onions and peppers is the perfect way to balance this intensely savory, specially blended meat log. Pro tip: combine it with one of their many boozy shakes and you've got what might be the ultimate meal. And some stretchy pants, hopefully. 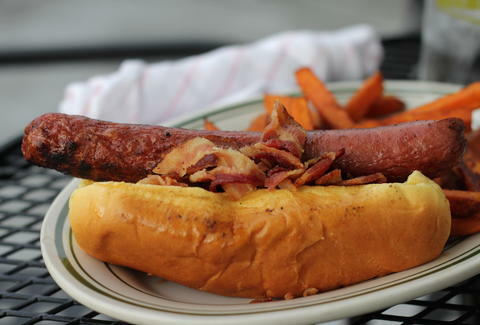 This new, must-try fast-food spot is getting all sorts of love for its burgers and shakes, but their char-grilled dogs are a fine piece of work as well. The “Mexi” version is covered in nacho cheese, chili, hot sauce, and veggies. 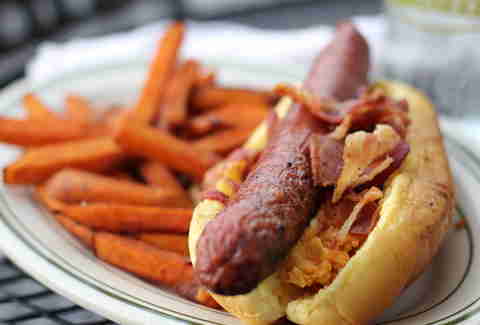 By the time you add on extra bacon, the actual link will be well out of sight.